Halloween is almost here, and we are too excited to contain ourselves. 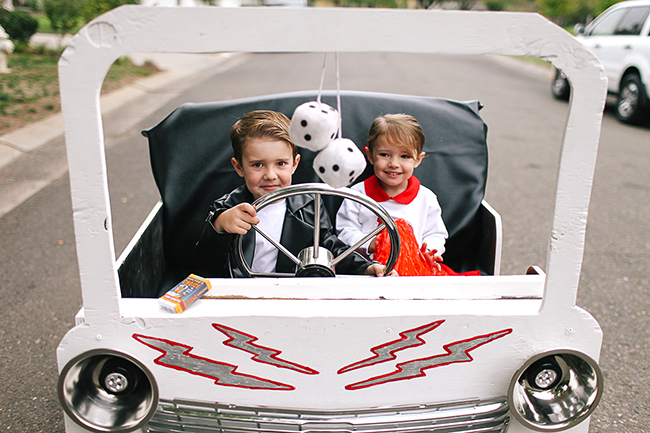 Candy, family, fun, and the awesome fact that Halloween is on a Saturday this year is almost too much! I love to have my kids in coordinating costumes, I think it makes for a great photo op, and perhaps some embarrassing pictures when they are older, too. 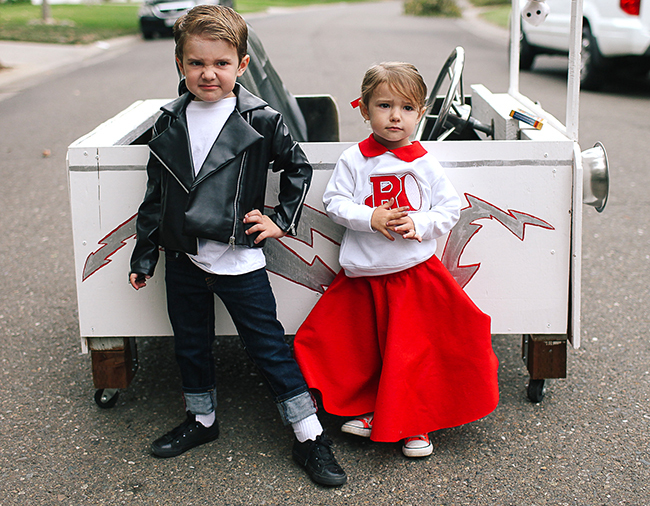 My son starts Kindergarten next year, and I fear he will not be as keen to do matching costumes with his little sister, so this might be my last chance to really enjoy sibling costumes. 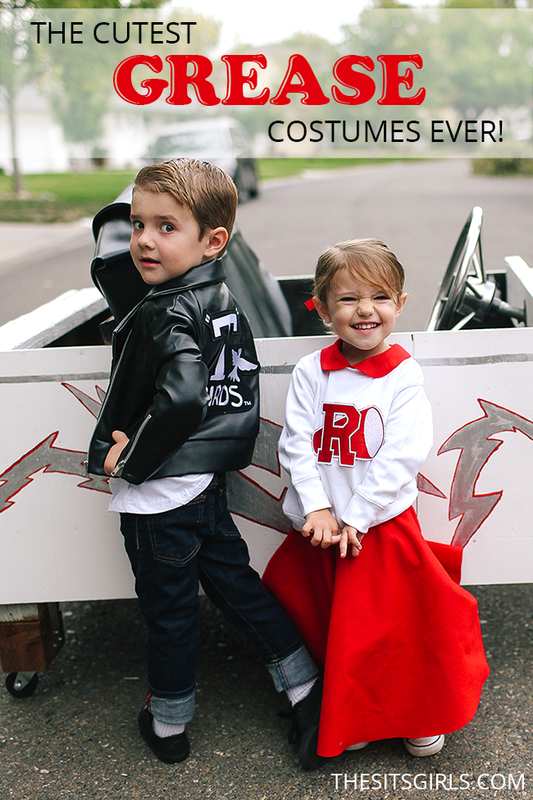 If you are in the need for a last minute costume, I highly suggest Danny and Sandy from Grease! 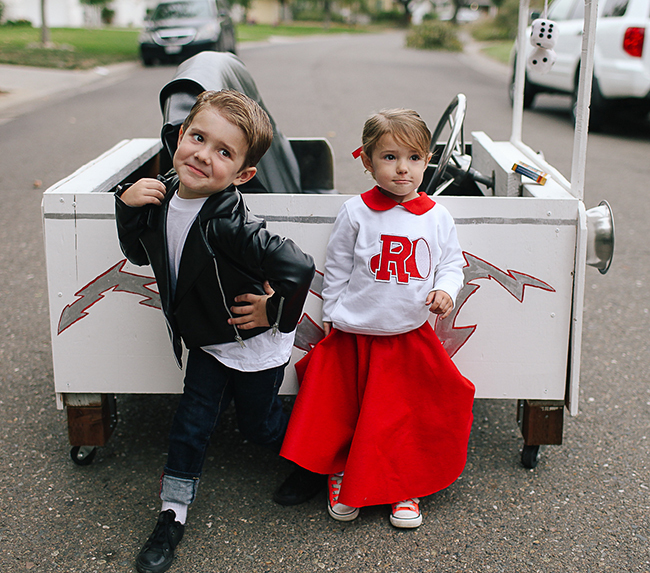 Check out these adorable DIY Grease Lightning Costumes, and start practicing your dance moves! 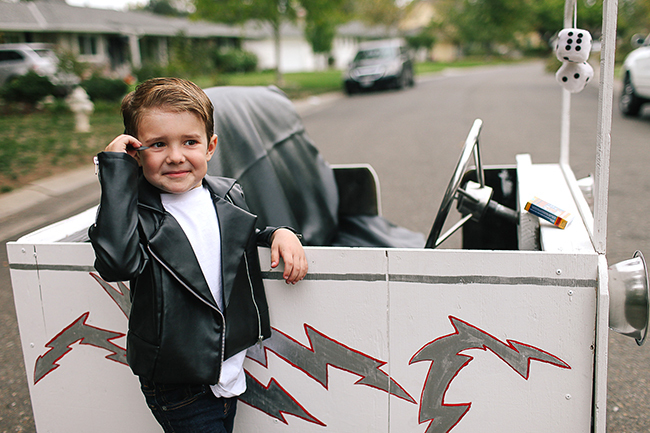 The best part of doing a Grease Lightning costume is you can do a couple of different variations. You can do bad Sandy in her black hot pants and big curly hair, or classic good Sandy in her cheerleader costume. Danny can be styled in his classic T-birds jacket or perhaps as a cleaner version of a Greaser in his Rydell High sweater. Whatever path you choose I guarantee it will be fabulous. 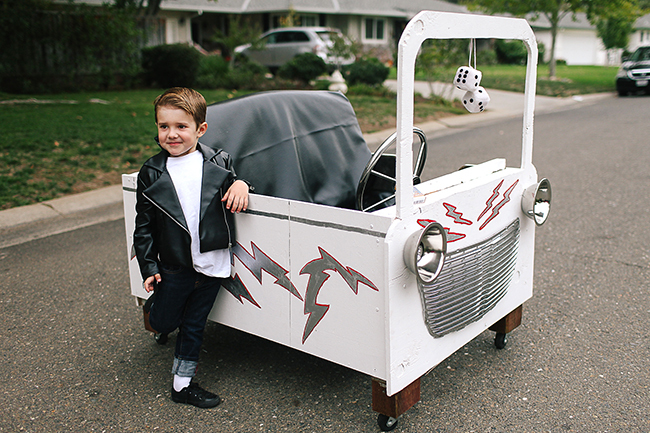 Danny Zuko: His basic uniform is a white or black T-shirt with his Tbirds jacket. 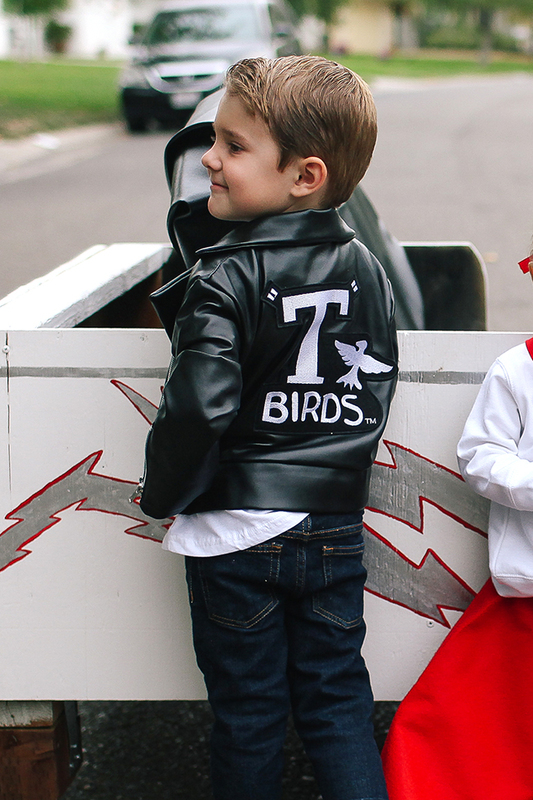 I got a killer deal on a T-birds jacket so opted to just buy it rather than craft it. 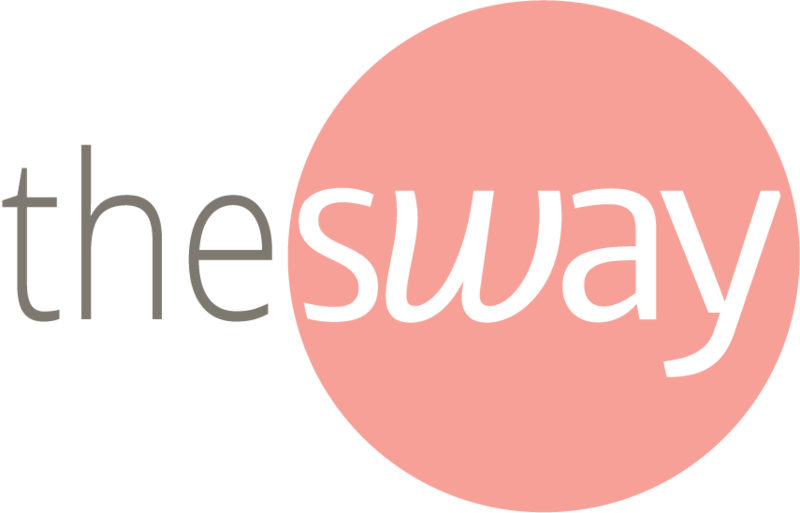 For the pants, it’s as simple as a pair of jeans! Danny’s outfit is all about style and swagger. He wears white socks with black loafer type shoes, which normally would be a fashion faux paux, but Danny makes it work. I accessorized the outfit with a pack of fake cigarettes and a comb. Danny is well known for his hairstyle, so this is a must! 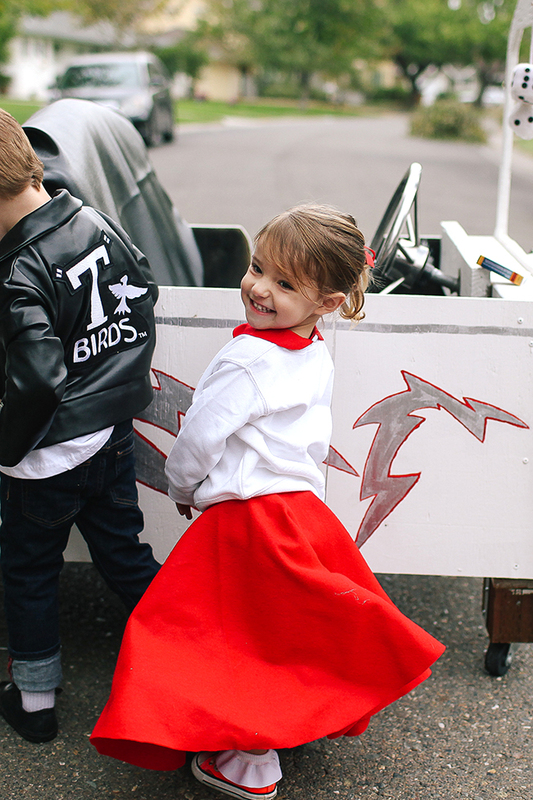 My daughter’s Sandy Olsson costume was my DIY. The sweatshirt is a standard run of the mill white crew neck, which you could get from anywhere, and I special ordered the Rydell High patch. 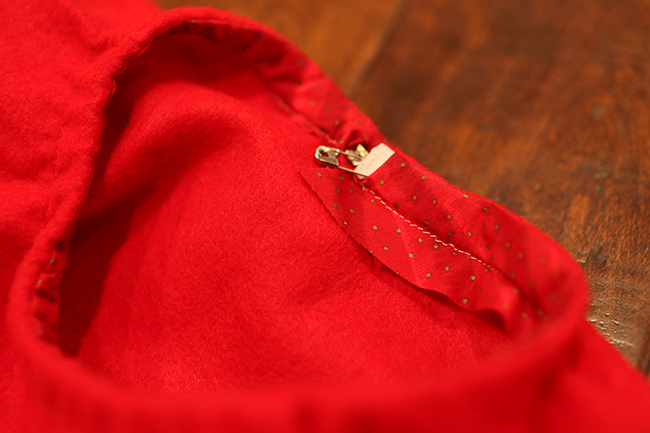 The peter pan collar I cut from some red felt and sewed a mock collar that could fit right around the neck. The skirt is your classic poodle skirt shape. 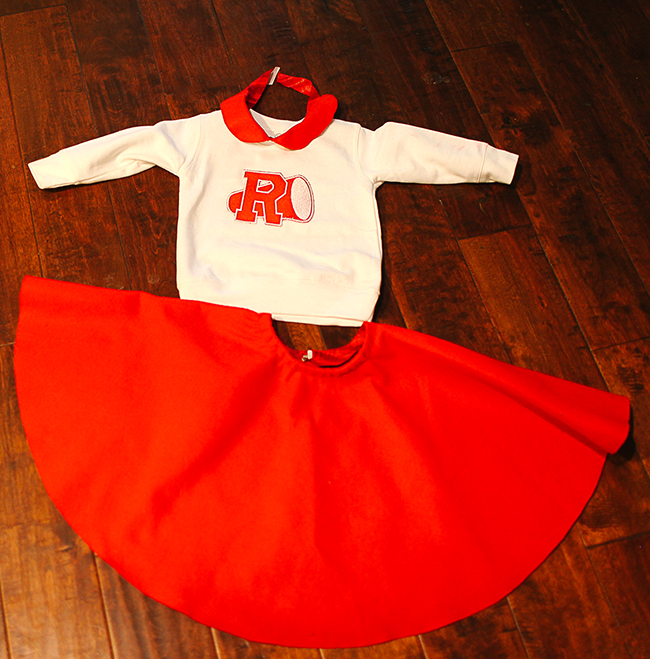 Sandy wears a red one for her Rydell High cheerleader outfit, so naturally that is the color I chose. 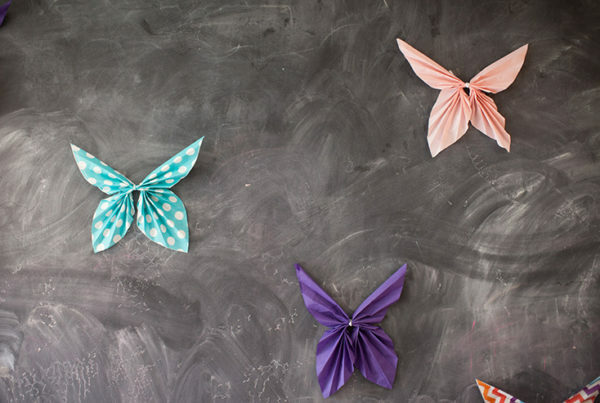 Felt is a fabulously cheap and sturdy fabric that is perfect for Halloween costumes. I winged the skirt a little bit, because after all it is just for one night, and does not have to be perfect. I actually left the waistband open and tied it with elastic, so it could be used for a larger child in the future. The styling of Sandy is classic All American. Her hair is pulled back in a pony tail and tied with a red ribbon. 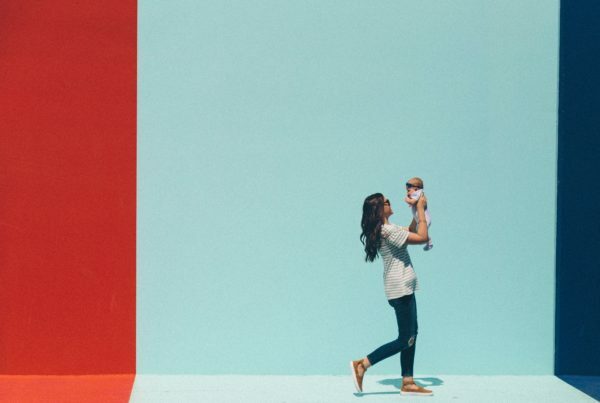 She always wears a smile and carries some red cheer pom poms! The car was a bit of an undertaking, but to me it really made the outfit. We basically built a box, and put it on some wheels. We used old cushions and covered them in black vinyl for the seats. Next, we attached an old steering wheel and grill to give it a more authentic look. 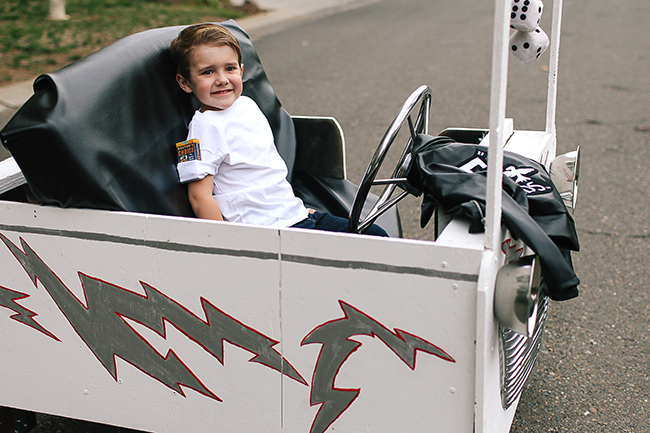 The Grease Lightening car is white with silver lightening bolts lined in red. This took a little more time since my drawing skills are less than par. We attached some metal mixing bowls on the front of the car for the lights, and inserted circle battery operated lights in the center. 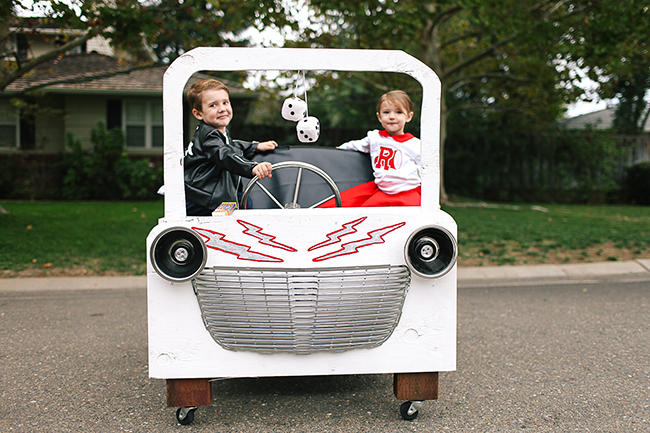 We left room in the trunk to carry around some extra Greasers if we find them along the way while trick or treating. It was also left open so we can hopefully fill it with mounds of candy that I can raid later that night. I can’t explain the joy in my son’s eyes when he saw his car. He’s been out there with his “tools” to help us build. 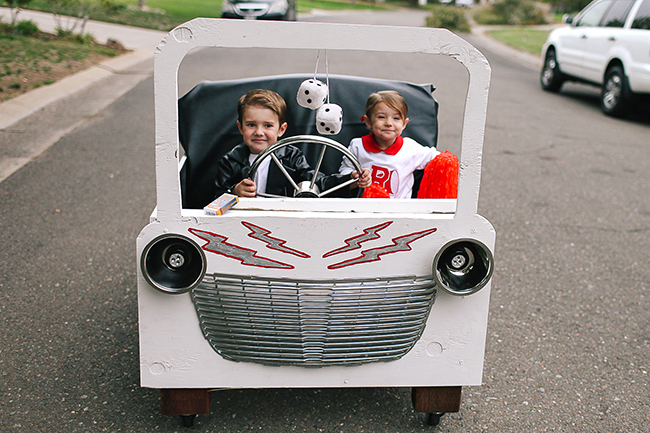 He is so proud to show his friends, and can’t wait to race around like The Danny Zuko himself! 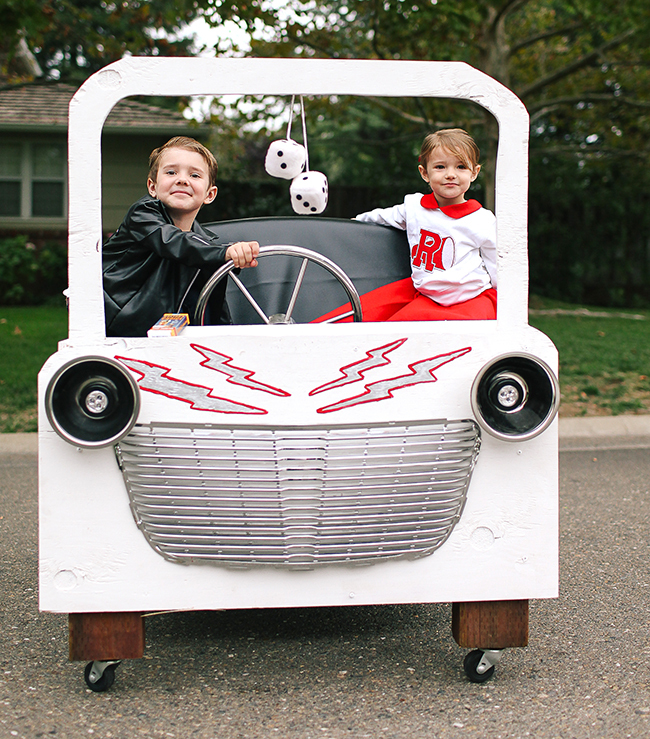 We are ready to zoom away in Grease Lightning and get all the candy! * A huge thanks to Kelli Seeley for taking these photographs!